August 29th… The glass ceiling fell when Sarah walked out on the Stage. The day when Sarah Palin was introduced to the World, was for me a very interesting day. I had been talking about her around the blogosphere for months. I and another commenter on HotAir.com were the first to point Allahpundit in her direction. In which Allahpundit asked, “Who is Sarah Palin”? She is a Mom, an American and a Christian with God in her heart and Alaska in her soul. She loves her state and her country. She is one who doesn’t back down but also listens. She is an average citizen who “Served with a Servant’s Heart” to all those who elected her into office. Any office, be it School Board, Mayor, or Governor, Sarah always made sure to keep the interest of those who had elected her into these positions ahead of any other needs. She didn’t stop looking into those who were corrupt and straight against the many who tried to throw her under the bus. Sarah also stuck to her Christian morals even though she never pushed Christianity. Sarah was very much a model for what other States around the Union should expect. Stepping out on stage, giving the speech that could be heard across the Nation then holding a disabled child obviously loved, was and has been in many case the pinnacle of a leader for not just the United States, but the World. Those who say that Sarah is not worthy are the same people that can not find the light in themselves or their life. Jealousy, self importance and animosity are some such feelings that hold all of us back from what can make us as a person, better and greater people. When the people who can step back from those emotions and feeling, are the type of people who can move ahead and for the good of all, including themselves, be better in general to others. Sarah has shown this. When you think of this day, think about how you felt. The touching emotion, the excitement in the air, the crackling aspiration of someone who understood, and the appreciation from an “Average Citizen” to all of us in the Nation who are also normal and average, but can show their lights to others. Thank you Sarah Palin for waking up the Nation and a Happy Anniversary to you and Todd and may you have many more happy anniversary’s to come. And a Happy Birthday and special Thanks goes out to Senator McCain, who brought Sarah Palin to the forefront of a movement that needed to happen, even though I don’t think it was intentional on McCain’s part. The glass ceiling fell the day Sarah walked on the Stage. And a Thank You to all who support Sarah. Without you who help Sarah and support her against those that try to keep her down and show what is right. You are the “Average Citizens” Sarah is fighting for. It was a year ago today that Sarah Palin walked onto the national stage and raised us up. Those of us who were fed up with a limp GOP moving center left, we’re thrilled with a principled conservative, a rugged individualist VP pick. It saved a McCain campaign on life support. McCain had it right when introducing her. He said, “she’s exactly what we need, she’s exactly what this country needs”. Bingo. There is no artifice with the woman. You couldn’t write a more perfect resume, Raising her kids, involved in the PTA, elected mayor of her hometown where she stopped wasteful spending and cut property taxes, elected to the oil and gas commission where she stood up to lobbyists, special interest, the old boy network …. the rest is history. What a year it has been for her and us. Looking back in hindsight – could the differences between Palin and Barack be more stark? Obama is all artifice. Palin is all real, all that. Obama is all style. Palin is all substance. Obama is anti-American. Palin is all-American. Obama holds the US military in contempt. Palin reveres the military. The military loves Palin. The military is on to Obama. The corrupt activist media loves Obama. The corrupt activist media loathes and libels Palin. Her speech embodied what a great American sounds like, and what a President ought to sound like. Palin made no apologies. She said nothing like Obama’s inane drone of “America’s best days are behind us.” No tearing down of our nation. Obama ranks on us; Palin raises us up and speaks of national pride. Palin wasted no time in taking on the big boys yet again and winning. No slave to the the leftist feudal media caste system, Palin circumvents the O-propagandists and disinformationalists. Sarah, alone, with her Facebook page as her unfiltered messenger calls out the rotting, decaying vultures in DC on their death panels and they recoil to their nests and pull the death panels out of Obamacare legislation. Palin, alone, on her unedited facebook page declares no healthcare reform without tort reform and she gets Howard Dean to confess they won’t take on the lawyers. You can’t make this stuff up. She’s a marvel and wonderful to watch. She is a lioness. Palin is all content. Obama is all about playing the race card. The Obama mop up will be huge. The Republicans are going to need a “real” genuine article, that’s our girl Sarah, plain and tall. looked beyond color t0 content of character. America fell for the smooth talking boulevardier, like an impressionable school girl. But once you’ve had one of those you run the other way. 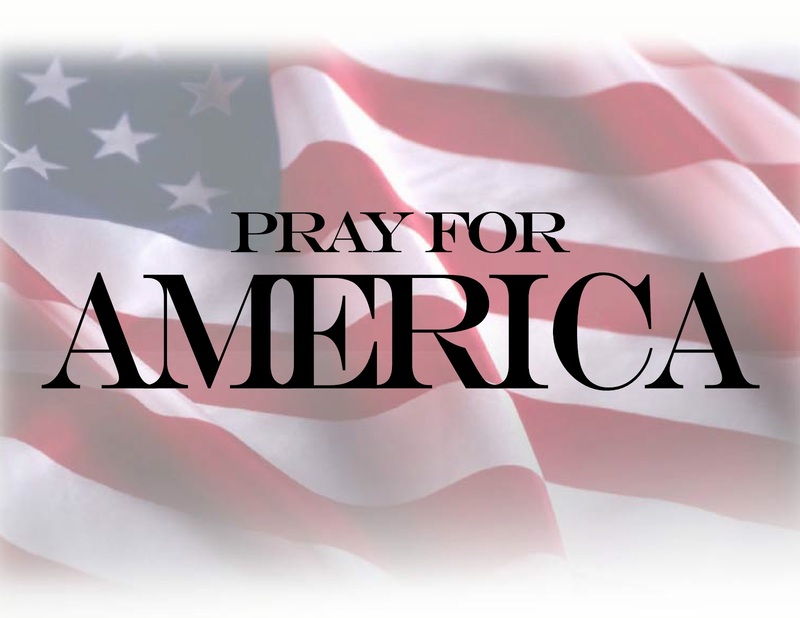 I suspect America will be running far and fast from the destroying Democrats into the arms of the pure and the good. When the pendulum swings, its swings hard and fast. Happy 1st anniversary Sarah. Looking forward to the next 50. I love huh! There are so many special Sarah Palin moments that it is hard to choose just one. But if I had to choose, I think that I would choose her debut at the 2008 Republican convention. There she wowed 40 million viewers as she gave one of the most powerful political speeches on record. Other than her superb performance, what was so special about then Governor Palin’s RNC speech was the confidence she displayed in the face of a liberal media feeding frenzy that tried to discredit her practically from the moment she was announced as John McCain’s running mate. Vicious rumors were swirling on the Internet, but Sarah Palin did not flinch. Instead, she strode gracefully and confidently onto the platform and delivered one of the best political speeches of our lifetime. She masterfully delivered her speech with wit and humor. Even the malfunction of her teleprompter did not cause her to skip a beat. Who can ever forget her statement that the difference between a hockey mom and a pit bull is “lipstick”! Afterwards, her beautiful family joined her on the stage along with the McCain clan. That was a memorable moment also. Little did anyone know then how viciously she and her family would be attacked over the months ahead and that these attacks would eventually lead to her resignation as governor. But Sarah Palin’s resignation as governor was not an end in itself but the launch of a greater role in the affairs of our country. She has stepped forward as a voice of opposition to efforts to dismantle our government and take away our freedoms. Sarah Palin is here to stay, and Sarah Palin supporters all over cannot wait to call her Madame President! 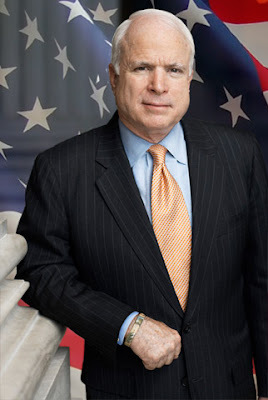 Happy Birthday, Senator John McCain! An American hero celebrates another birthday today. Last year he celebrated his birthday by introducing Sarah Palin as his running mate on the GOP ticket. This year as we cekebrate the first anniversary of this momentous event, we want to wish John McCain a happy birthday as well as thank him for introducing Sarah Palin to America. Senator McCain is campaigning for reelection in 2010. As Adrienne Ross noticed in a prior blog, Mrs. McCain is asking supporters to give to his reelection campaign as a birtday gift. Over 30,000 people have signed his online birthday card, which also contains a link to contribute to his campaign for reelection. We would like to invite our visitors to leave birthday wishes for Senator John McCain as well and to contribute to his re-election campaign if they would like to. HAPPY BIRTHDAY, SENATOR JOHN MCCAIN! THANK YOU FOR ALL THE FOND MEMORIES WE HAVE OF YOUR 2008 CAMPAIGN WITH GOVERNOR PALIN. AND THANK YOU FOR INTRODUCING SARAH PALIN TO THE WORLD AND TO OUR COUNTRY. MAY YOU HAVE MANY MORE HAPPY, HEALTHY YEARS AHEAD OF YOU AS YOU CONTINUE TO SERVE OUR COUNTRY! Share Your Favorite Sarah Palin Moment! 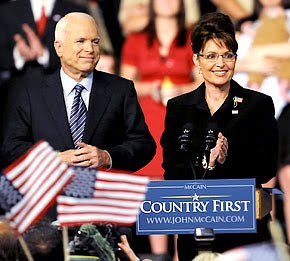 Today Sarah Palin supporters everywhere are celebrating the day that John McCain introduced then Alaska Governor Sarah Palin to the world as his running mate. Time will tell that this was a pivotal day in American history. For Sarah Palin now stands at the forefront of a life-and-death struggle to preserve the freedoms our forefathers lived and died to give to the citizens of this great country. From Facebook, she has already led the charge against government-run healthcare and spoken out on other issues that affect the freedom and integrity of our country. Sarah and Todd Palin also have another anniversary to celebrate today – their 21st wedding anniversary! For 21 years they have walked the walk together and shone as role models as a married couple. In an interview with Christian Living , Sarah and Todd gave some insights into their marriage and how they were guided by Christian principles. Some of their accomplishments as a fiscally conservative couple are detailed in this article. At home and in public, Todd and Sarah Palin have lived true to their values and pursued lofty goals. So today the authors of Sarah’s Web Brigade and the Sarah Palin Information blog would like to join other supporters in wishing Sarah and Todd Palin a happy double anniversary as we rejoice with them in their accomplishments and wish them the happiest wedding anniversary possible! As part of our celebration of this double anniversary, we would like to invite our visitors to leave comments for Sarah and Todd Palin on this blog. Anyone who would like to donate to Sarah Palin’s defense fund or to SarahPAC can do so here and here. Since the theme of the SWB and SPIB blogs today is “My Favorite Sarah Palin Moment,” we would also like to invite our visitors to leave comments describing their favorite Sarah Palin moment. HAPPY DOUBLE ANNIVERSARY, SARAH AND TODD PALIN! WE SEND YOU OUR BEST WISHES AND OUR PRAYERS AS WE CELEBRATE GOD’S GIFT OF SARAH PALIN TO AMERICA AS A LEADER AND AS WE REJOICE WITH YOU IN THE HAPPINESS THAT 21 YEARS OF MARRIAGE HAS BROUGHT YOU! SuperSonic Sarah’s Sonic Boom was Heard and Felt around the World? The subject of “where were you when Sarah Palin was announced as John McCain’s VP” came up on some emails between friends on the Team Sarah site in late December 2008. This blog originally was hosted on Team Sarah and was written strictly for that audience at the time. Alaska Governor Sarah Palin’s Accomplishments did not start up on Google until January 2009. Given that Team Sarah is strictly for Governor Palin’s supporters, the tradition of referring to her simply as “Sarah” was used at the time this entry was written — which is December 31, 2008. The tradition of reference to her simply as “Sarah” among supporters began in Alaska and carried through the national campaign. Because this is a memoir entry written as a supporters it is article is being re-posted with very minor updates, but otherwise intact and as it was originally written. I’m going to share my story and document it while it is still reasonably fresh (I’ll leave the matter of whether four months is “fresh” for the reader to decide). I think in the coming years, this will be an important topic. I hope this blog posting will be the starting point for us here at Team Sarah to document our memories of when we first came to know about Sarah. Before I address where I was that day, the background must be told, so that the story will flow correctly and have meaning. The Significance of Victory Blvd…. On that day, I was working at Con Edison’s Victory Blvd. service center in Staten Island, NY. At Con Edison, I am a LAN infrastructure project manager; this is my primary full-time job. At the Victory Blvd. facility, our linemen and women come in, get their jobs and go out and work on overhead and underground electric lines. The building is located across the street from a power plant and a substation. The building is significant for me, because I was also here for a tech support quarterly meeting (I started out working in tech support) when 9/11 happened. My wife had intention of traveling to the city to take ballet class and I frantically called her, fortunately to find her home. Had she made the trip, she would have been square on West St. by the Twin Towers as 9/11 unfolded. It should also be noted that Victory Blvd. was so named because of the Allied victory of WW I. Staten Island hosts Memorial Day, July 4th, and Veterans Day parades on this boulevard, and American flags can be found fluttering on nearly every block here. Nearly seven years following 9/11, the Victory Blvd. service center and the surrounding area would again take on a new significance for me. Being in the midst of a financial crisis, I had just arrived to work after doing a shift of food vending at the first Giants game the night of August 28th as a second job. I had sold 56 24-oz Gatorades – and I was amazed at one woman — or more rather – a young girl, standing about 5’5” and weighing a little over 100 lbs – carrying this 50-lb load from her neck like it was nothing. I’m 5’11 and was about 270 lbs at the time – and I was dogging it. I couldn’t get this young girl out of my mind and she motivated me to push harder. I would realize a scant 12 hours later, that this girl was a symbol of things to come….a sonic boom would resound from a woman’s voice on the radio…. As June rolled around, I was sitting at the dinner table with my wife. Like most conservatives, I had despised Hillary Clinton. I regarded her as a calculating, power-hungry, left-wing machine politician with absolutely no central value system. My mantra, along with other conservatives was, “anyone but Hillary.” Back around mid-2000, I had a Jeep Cherokee Sport and I was driving down 65th St. towards Columbus Ave. with my wife. Hillary came on the radio. I almost crashed into a pillar lunging for the dial to change the station…. ….So, at first when Obama was leading the Democrat primaries, I figured, “OK…at least it’s not her.” I chuckled as Limbaugh played Obama and Hillary against each other with “Operation Chaos.” But, things began to change — rapidly. I noticed that Limbaugh was becoming more sympathetic to Hillary. And in one three-hour broadcast, I was spell-bound as he defended her. In the coming days, my respect for Hillary grew. I just couldn’t admit it to myself – and certainly not to my conservative brethren, who would probably think I had flipped my lid and gone lefty. Only as I wrote this did I consider that maybe the beginning of a paradigm shift was afoot in those early summer days. The old style politics of rivals clawing at one another, while the nation’s work was left neglected was going to be turned on its head. On August 29, 2008, a new vision would be introduced – rivals coming together to serve the people of this country. Simultaneously, I started hearing some disturbing things about Obama. I already knew about Jeremiah Wright, Bill Ayers, and Rezko. More unsavory stuff was coming out each day. Obama made Hillary look conservative! I just did not like what I saw in Obama. I couldn’t trust him. Though I didn’t like Hillary’s views, she at least displayed some basic love of country; while Obama’s behaviors seemed to indicate a seething hatred of his country. A conservative woman’s voice on the radio would speak kindly about Hillary two months later…. I would hear portions of Obama’s speech in Denver the night of the 28th on the way home via a circuitous route to avoid traffic. I had just finished selling those 56 Gatorades. I knew about the “Greek temple” farce. His speech was eloquent to be sure, but I could detect the insincerity a mile away. I was eager to find out who McCain would pick as his VP. I figured he was going to nominate Mitt Romney, perhaps or Huckabee, or Lieberman – one of the usual suspects. Maybe McCain would win; maybe Obama might pull it off, but either way, I expected a boring campaign that would lumber to its final outcome. And with a boring VP candidate – especially either a RINO, or someone who appeals to evangelicals and no one else – Obama would easily trounce McCain. People were angry with Bush, and McCain represented an extension of the Bush years. Of course, I was voting for McCain anyway. That was a foregone conclusion. There was no way I could pull the lever for Obama. Not in a million years. But aside from being a war hero, there was little to excite me about McCain. Meanwhile, Hillary was scorned and defeated, and 18 million women were not happy about it…..
From the middle of December 2007 till early January, 2008, my wife and I had taken a road trip to Key West, FL. The primaries were heating up at the time. Hillary was a shoo-in. For practical purposes, the Democrats had their candidate. Little did we know what would transpire in the coming year. But, as of the end of 2007, the Democratic primary was essentially a coronation for Hillary. It was hers to lose. Though my wife is rather liberal, I was able to discuss the Republican side of the primaries with her and I had said that “among my candidates, there simply was no leader anyone could rally behind. No one stood out as being great.” “In fact,” I told her, “we have been yearning for a great leader for about 30 years now.” It was a veiled reference to Ronald Reagan, and also prescient to what was about to unfold in the coming hours that morning of August 29, 2008, the day that yearning would be answered…. I listened as I exited the lot. No sooner did I leave the lot and go about two blocks, I had to pull over to the side of the road. I couldn’t drive anymore. I hung on to her every word. I couldn’t believe what I was hearing. In her voice was something familiar, something soothing, and something comforting – I had not heard anything like this, since – since – 1980? Her accent and expression indicated a small town background. My mind again harkened back to 1980. I tried to dismiss it as just over-enthusiasm. “Naw,” I thought… “Come on…this is not a resurrection of Reagan. Curb your enthusiasm, dude!” But, I couldn’t help it. She spoke about lowering taxes; about winning our wars; fighting evil where we find it; about profiles in courage; about the timing of her pick with women being given the right to vote; about using our own resources. It wasn’t just what she said. She sounded like a friend. She wasn’t talking down to us. She was having a conversation with us. I sat transfixed for the 20 minutes her speech took, and for several minutes thereafter. Well…Wendy’s was out of the question now. The 12-O’Clock crowd was there. I didn’t have to time wait around, then sit and eat. There were too many people around my work area for me to haul food back. So, I ran to the gas station deli and grabbed a large Gatorade and decided on a liquid lunch. I figured if it was good enough to sell on a second job, it was good enough to get me through the afternoon. Besides, I had to find out who McCain picked as his running mate! All I knew is that it was a woman. I had no idea of who she was, where she came from, or what she looked like. Here she was stealing my political heart, and meanwhile, I didn’t even know her name! All I knew was that I was transfixed. Everything stopped. I returned to work and while drinking my combination of water and electrolytes for lunch, some details came out. I learned the name behind the voice – Sarah Palin, Governor of Alaska. Finally, within an hour, I would see an article from the London Times – yes a foreign paper – a few brief paragraphs about her. There I saw Sarah raising her M-4. It was the first picture I ever saw of her. “A living, breathing, human guardian angel,” I thought. “Holy (both of two common expletives)” I gasped. I almost fell out of my chair! I felt like a teenager again. I concluded, “This is indeed the next Ronald Reagan. I have every reason to be enthusiastic.” A week later, Michael Reagan would say exactly that. Not only was this the leader we had been yearning for – she was a living reincarnation of people I had studied as a child in school — people we have not seen in 150 years – an American Pioneer. I grabbed the M-4 picture. It would be the first of a burgeoning photo stash now sitting at nearly 900 photos. For the rest of the work day – in fact for every day up till November 4, I was walking around giddy, exuberant and full of verve. I realized immediately that something very special happened this day. SuperSonic Sarah was in flight on full afterburner. I watched as the entire world trembled beneath her sonic boom — which I heard and felt in a company minivan on Victory Blvd. As the RNC convention started, I noticed a count-down timer – It was not for John McCain – the Presidential candidate’s speech – the timer was for Sarah! That spoke volumes. Michael Reagan’s “Welcome Back Dad” was published the day after Sarah’s speech. That Saturday morning, something happened (which I would prefer to keep private) which impelled me to be Sarah’s Staten Island wingman. I could no longer be just an interested observer. I had to do anything I could to defend her; to always stand by her; to always guard her wings. Sarah had me lock, stock, and barrel. I started a MySpace page to reach out to Sarah – and other supporters. It took a while to find the real Sarah there, but I met many supporters, then discovered McCainSpace, after which I discovered Team Sarah. I started also campaigning for Bob Straniere in Staten Island, who was running to fill Vito Fossella’s congressional seat (which he messed up by being busted for DWI and later being discovered for having a child by a woman who was not his wife. Straniere was seeking to do a unity run with McCain, so I thought this would be perfect. I had quit the food vending job – too much work and too little money. On the way to Straniere’s office, I stopped in a pizza place – where I secured my second job. Two white pizza boxes secured by electrical tape became my SuperSonic Sarah rally sign. I had gotten this second job, because I was on the way to Straniere’s office; and that was because I was going full-bore for Sarah – in essence – Sarah got me this job…. I recalled how a co-worker of mine told me that back when he worked on the ramp at JFK airport, everything would stop anytime Concorde moved. I soon found out that it was the same way with Sarah everywhere she went. Everything stopped in her presence. This was the basis for my comparing her to Concorde by metaphor in my blog post about the rally I attended in Bethlehem, PA. There, I requested that Sarah brand a polo shirt over my heart, which she did. At that point, her theft of my heart as a leader was complete and executed. To say my wife was not thrilled when she found a printed copy of the Bethlehem rally blog post) in my campaign stash is quite an understatement. Like many men, I had put my foot in my mouth with my wife a few times too many as regards Sarah. ;-) Enough of us have, that it became the basis for a country western song by Gerry Stanek. To this day, I still can’t live that one down. Following that rally, I campaigned with McCain Manhattan the day Sarah did her Saturday Night Live Appearance which is also blogged about here) I made two trips to Pennsylvania to campaign (also documented), formed many friendships along the way, and have dedicated 100% of my political time to Sarah. It all started with a double-boom and a woman’s voice on the radio whose name I didn’t even know…. August 29 also happens to be Todd and Sarah Palin’s wedding anniversary, this year being their 21st. In our disposable society, where appliance warranties routinely out-last marriages, the Palins are a model to be emulated. Despite their ups and downs, the entire family, extending to parents and grand parents on both sides works as a team. The union of two high school sweethearts is likewise rare today. Their marriage is an accomplishment item in its own right and very much worthy of celebration. All of us here at Accomplishments wish you — Todd and Sarah — a happy anniversary and many, many more. Governor Palin still has $380K in legal bills incurred fighting frivolous ethics complaints following her VP announcement a year ago today. Your donation to the Alaska Fund Trust will help cover the expenses associated with her fighting this grievous wrong. Click the logo above to get started…. SarahPAC is dedicated to building America’s future, supporting fresh ideas and candidates who share our vision for reform and innovation…. SarahPAC believes energy independence is a cornerstone of the economic security and progress that every American family wants and deserves. SarahPAC believes the Republican Party is at the threshold of an historic renaissance that will build a better future for all. Health care, education, and reform of government are among our key goals. Click the logo above to donate to SarahPAC. $150 — for AK Fund Trust, Legal Maximum per donor per calendar year.